One great thing for translators working for professional translation services translating Spanish to English is that no one assignment is ever the same, so language translation can be interesting and challenging. There is always a need to use different writing styles, translate a wide range of topics and often have to consider the use of dialects or slang. You have to be more than bilingual when it comes to providing professional translation services. You have to know the appropriate words to use in a multitude of situations. You can’t just translate word by word without thinking which the best word is for the context. Some people say they are bilingual because they can switch languages easily when engaged in conversation. Being able to offer the perfect translation is far more complicated than simply code switching in a conversation about a sports team. A translator must be a master of both languages so that switching is easy in complex language situations. Grammar is a particular concern when translating a text from Spanish to English as Spanish grammar rules are not as rule bound as English grammar rules. 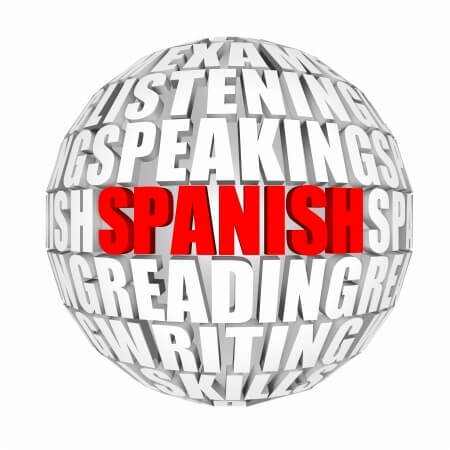 A Spanish to English NAATI translation that is good will have ensured that all the translation fits the true meaning of the text and the word order and flow correctly follows the language’s grammar rules. Punctuation marks can sometimes create confusion in a Spanish to English translation some rules are exactly opposite in Spanish to those in English, such as with the placing of quotation marks which in English are always outside of full stops and commas while in Spanish full stops and commas are placed outside of the quotation marks. It seems a trivial matter but conformity to language rules means more consistency and less misunderstandings and when the translation has been completed nobody can tell that Spanish isn’t the native language of the translator. With a NAATI translation it is imperative that the translator has a true understanding of all the rules of the language pair to be translated, otherwise there might not only be misunderstandings when reading the translation but if there are errors then the translation will not be accepted.